Those who put in a Brookshire’s application know they’re trying to join a company that works to be transparent with everybody they work with and for. They want their employees, customers, and suppliers to trust them and their products. Links to apply for jobs at Brookshire’s are at the bottom of the page. In September of 1928, a new company was opened by Wood T. Brookshire in downtown Tyler, Texas called Brookshire’s Grocery Company. Growth really didn’t start with the company until the 1940s, when they branched outside of Tyler and into the neighboring towns. By 1953, they had opened their first warehouse. Throughout the 1960s, they expanded into Louisiana and Arkansas. The arrival of the 1980s saw Brookshire’s opening their first non-titled store with Super 1 Food in Louisiana. Styled to be like a basic warehouse shopping experience, the branch stores proved to be extremely popular, prompting them to close several of their titled stores in favor of Super 1 Food. In 2011, the company opened their second branch stores, called FRESH By Brookshire’s, which have also become extremely popular. Currently, Brookshire’s has over thirteen thousand employees in one hundred and fifty locations in three states: Texas, Louisiana, and Arkansas. They strive to support their communities, giving money to over eight hundred charities on a yearly basis, while pushing their employees to volunteer to build a great community for them to live in. People with Brookshire’s careers at the corporate level will spend a lot of time working out of the head office in Tyler, Texas. Several positions will also be traveling positions, checking on various stores and distribution centers around the country to make sure that they’re working smoothly and properly. Locally, Brookshire’s jobs are in their grocery stores across the Southern United States. The company operates under three different names: Super 1 Foods, FRESH By Brookshire’s, and Brookshire’s, any of which you could choose to work for. Several of those stores offer positions in a variety of departments. How old do you have to be to work at Brookshire’s? Age requirements vary by position. As you browse Brookshire’s jobs online, make sure to read all position requirements carefully because some jobs need various certifications, degrees, or experiences. Benefits are given to people with Brookshire’s jobs, including vision, dental, and medical insurance and a 401K. If you’re attending school, you gain access to scholarship consideration. All employees also get access to the company’s Employee Stock Ownership Plan. Order Selector – Stacking packages of varying sizes and shapes in a stable manner on a pallet is a big part of this position. As needed, you will do general warehouse cleaning and stacking of pallets. Compensation starts at $11.00 an hour. Certified Pharmacy Technician – Making sure that customers get the proper medication and that you give them the correct information if they have any questions. As needed, you’ll work the cash register to check customers out. Compensation is around $30,000 a year. Cashier – Every customer will be greeted with a smile before you check them out while making sure that they found everything they needed. As needed, you will make sure that everything is clean in the front of the store. Compensation is around $20,000 a year. Stocker – You will go through and stock the shelves as needed, making sure that everything you put on the shelf meets the company standards. When customers come up with questions, you’ll answer them to the best of your ability. Compensation is around $20,000 a year. Why do you want to work for Brookshire’s? As this is an extremely common interview question, you should be prepared for it. Talk about what drew you to the company, whether it was the company culture or benefits and why it’s your first choice in places to work. What experience do you have? Highlight all of your relevant experience. If you don’t have any experience, talk about what you can offer the company and bring to the position instead. Make sure to use plenty of examples to enhance and support any claims you might make. Where do you see yourself in the next few years? Your interviewer is looking to see if you plan on staying with the company. Be realistic in your career expectations, but talk about how you’re willing to take on extra responsibilities and challenges in order to move up in the company. Because this company relies heavily on customer service for business, you may be asked this question in the form of a hypothetical situation: How would you take care of an upset customer? Walk your interviewer through the steps you would take to turn the customer’s experience around, making sure to be practical and realistic. Several positions require you to lift heavy objects or stand for long periods of time, so you may be asked: Is there anything that could keep you from doing your job? Be honest, the company will want to make sure that you’re settled comfortably and will try to work with you. How to apply for Brookshire’s online: decide if you want to work at the local or corporate level. Once you’ve done that, read the position requirements before filling out your Brookshire’s application. If you’re applying for a position at a local store, you can go to the store location and turn in a physical application or fill a generic application out on the website. 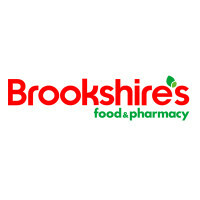 A printable application for Brookshire’s is available, it is the second link below. Before attending your interview, do research on this company and the industry in order to come up with a list of questions that you can ask. This may seem excessive, especially for an entry level position, but it will place you above the other candidates because it shows that you think ahead. Try to have a friendly and positive demeanor when you attend your interview because it will give a good impression. Dress nicely in business casual, if you can, as your interview will take place in a semi-formal setting. If you’ve applied for a managerial or corporate position, a suit would be appropriate. Show gratitude at the opportunity to interview with the grocery store. After your interview, inquire about the best way to check on your hiring status as only some applicants will learn if they got the positions because the company will want to screen all candidates before making a final decision on who they hire. Grocery Outlet: For employment at Grocery Outlet visit the application page. Tops: See our guide for careers at Tops. Jewel Osco: Visit the job application for Jewel Osco to apply today. Lucky Supermarket: See this page for jobs at Lucky Supermarket. Bashas’: Use the Bashas’ job application to apply here.